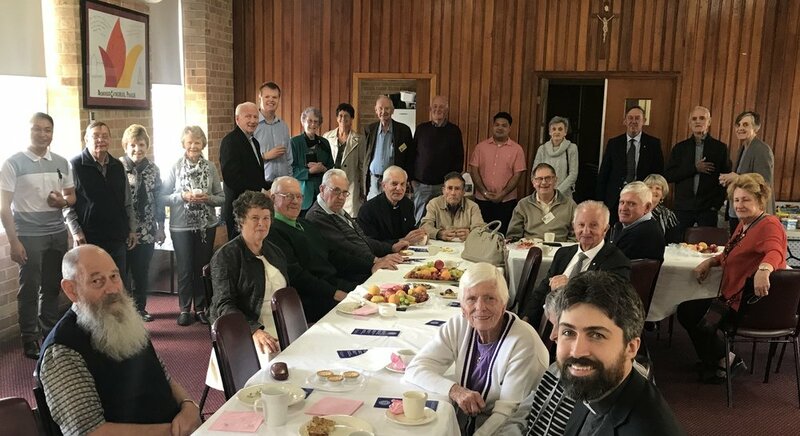 The Bendigo Serra Club hosted a special brunch with Bishop Les Tomlinson and friends in support of the Sandhurst seminarians last month. This took place after the 8am Wednesday morning Mass at the Cathedral during Holy Week. The occasion provided an opportunity for us as seminarians to extend our thanks to those who pray for us both within Serra Club meetings and beyond. About 40 people attended the brunch, which included an impressive array of raisin toasts, hot cross buns and fruit platters. The Bendigo Serra Club and friends of seminarians gather at Sacred Heart Cathedral Hall during Holy Week. Picture: DJ Suguitan. Bendigo Serra Club President, Bernie Roney, extended a warm welcome to all in attendance, and spoke about the mission of Serra. The Serra Club is named after Saint Junipero Serra, the noted Spanish Franciscan missionary, who was a leading missionary figure in Mexico and California between 1749 and 1784. The objective of Serra is to foster and promote vocations to the priesthood as a vocation of service, and to support current priests in their ministry. They also seek to encourage and affirm vocations to the consecrated religious life and are committed to empowering Serra Club members to respond to God’s call to holiness in their own lives. Their prayerful witness is also a great encouragement to the seminarians of the Sandhurst Diocese, including myself, DJ Suguitan, Adi Indra, Nathan Verallo and Deacon Dean Bongat. The Bendigo Serra Club meets monthly to pray for all these intentions. The group meets at St John of God Hospital on the first Wednesday of the month from 5pm. The gathering includes Adoration, a prayer for vocations and Benediction, followed by Mass, dinner and a short meeting. RSVP for meetings is essential for catering purposes. The Bendigo Serra Club warmly welcomes new members. For more details, contact Bernie Roney on 0427 397 274 or Terry Clarke on 0418 323 126. Jackson Saunders is from Bendigo and is a fourth-year seminarian for the Sandhurst Diocese.